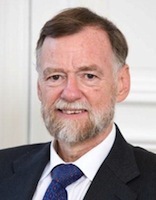 Eric W. Fiechter graduated from the Geneva Law School in 1973 and, after one year of postgraduate research at the University of Basle, he obtained his master degree from New York University in 1975. He was admitted to the Geneva Bar in 1977, after having practiced law for one year in New York at Serko & Simon and at what has become Fox Horan & Camerini, LLP. He practiced under the banner of Secretan Troyanov™ from 1979 until 2011. Eric W. Fiechter practiced in the "Banking and Finance", "Corporate and Commercial" and "Trust and Private Clients" groups of Secretan Troyanov, and worked with Des Gouttes & Associés (www.desgouttes.ch). Eric Fiechter advised banks and commercial companies and their stakeholders, sometimes as director, but more frequently as legal counsel. He also has considerable experience in providing estate planning advice to high-net worth individuals. Eric W. Fiechter was Deputy Judge at the Geneva Court of Appeals since 1997. He was reelected twice, but resigned in November 2011, to focus on his move to Singapore where he has become a resident in November 2012. Eric Fiechter continues to work as attorney at law with Des Gouttes & Associés (www.desgouttes.ch) for legal work that needs to be done in or out of Geneva, but devotes most of his time ot his activity as a business consultant and mediator in Singapore.